Yesterday Wessex Professional Artiste, Ian Foster visited Wessex Tubas UK store to buy a Wessex SP28 Eb sousaphone to use for some gigs he has coming up with the Royal Shakespeare Company. 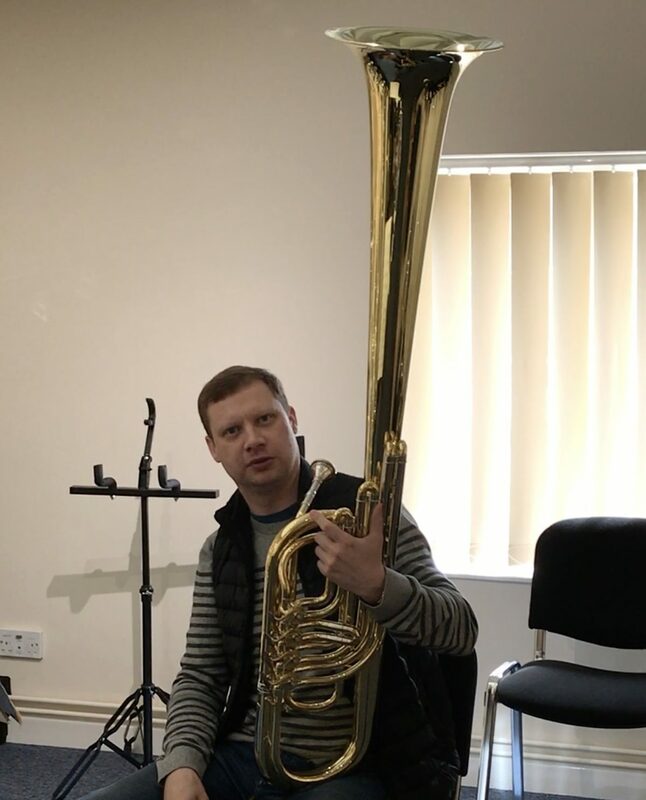 While here he tried out the prototype of the new Wessex Tubas OTS (over the shoulder) Eb saxhorn which will be out around the end of 2017. The OTS is made to play not only over the shoulder in American civil war re-enactment bands, but also to be of used as a kind of valved ophicleide, or bombardon.